In the last 5 years, Charleston has emerged swiftly on the food scene and has become one of the top visited cities for savvy travelers out looking for a bit of southern charm. 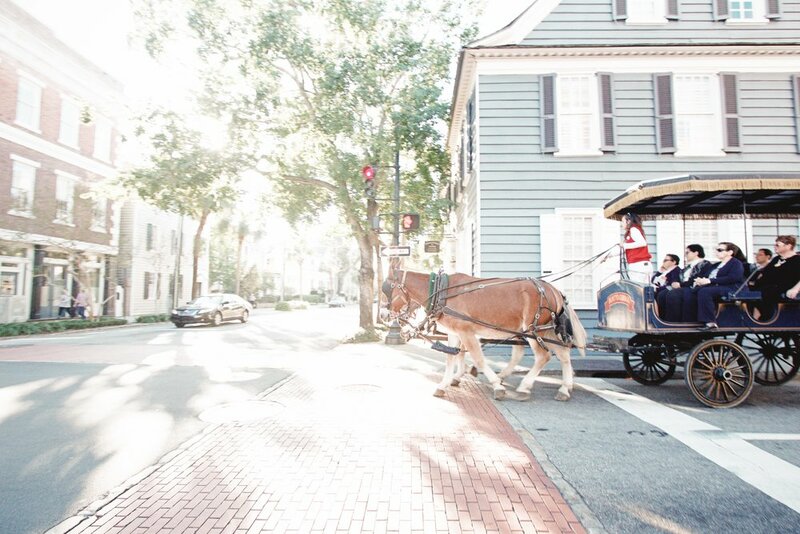 So unless you've been living under a rock, you've noticed Charleston's cobble stone streets, high end shops and top rated restaurants lining the pages of nearly every travel magazine and top 10 list in 2016. It was time for me to see for myself what all the hype was about, so I booked my first trip to The South, visiting Savannah, Palmetto Bluffs, Isle of Palms and Charleston for a wide variety of experiences and comparisons to provide you with the best of the best of these iconic destinations. 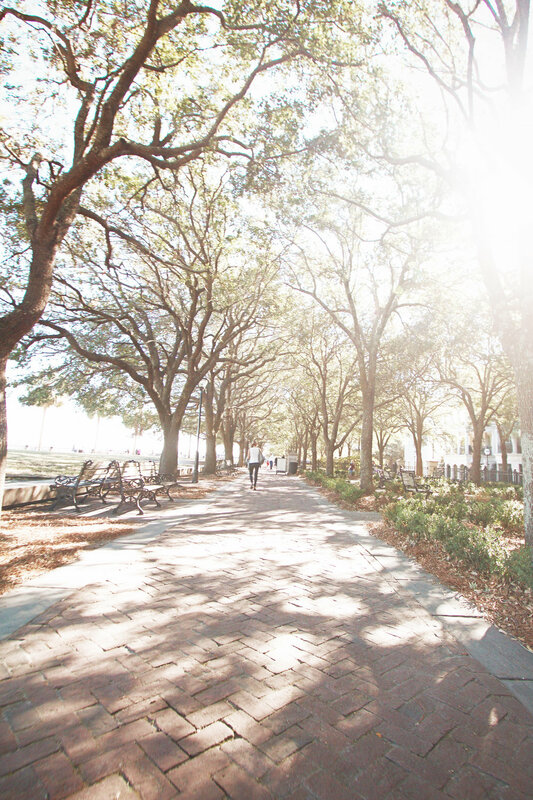 Allow me to be your guide as I walk you through the streets of historic Charleston, giving you my personal recommendations for where to stay, where to eat and drink, as well as what to see and do in one of my most favorite places to date. For the ultimate hotel experience during your visit to Charleston, there is no better place to lay your head than Zero George. This is the hottest boutique hotel in town and has been featured everywhere from Conde Nast to Travel and Leisure and is ranked among the best hotels in the country for good reason. These days you can't always trust the big magazines with recommendations, but when I visited Zero George for two nights I instantly fell in love with every detail from the private courtyard, wrap around porches, intimate kitchen set right in the front office to the stunning decor in every one of the 18 guest rooms spread across 5 restored 19th century brick buildings and classic blue bicycles with wire baskets ready for the taking. If there ever was a hotel mascot to represent the city of Charleston, this would be it. 10 minute walk: King street is where most of the action is, including restaurants and great shopping and is an easy walk down a main road from the hotel. 9 minute walk: Charleston City Market, a very popular tourist destination that's not worth visiting in my opinion, but it's close by if you must. 9 minute walk: Marion Square, open public park where the weekend farmers market is held. 15 minute walk: Rainbow Row, the iconic photos of colorful plantation style historic homes. This is one of the farthest destinations in the city along the water and worth the longer stroll through town to get to. If you do have a car, I’d recommend parking it as long as you are in downtown because it’s pretty hard and expensive to park in the city. Zero George offers valet parking for a $29/night fee, but there is also a decent amount of parking in the vicinity, most of it metered, but is free from 6pm-10am and on weekends. Zero George is one of the more beautiful places I’ve ever stayed at, with true attention to detail. Because the property is made up of only 18 rooms spread across several restored buildings (all sharing a center courtyard), each room has its own unique touches, giving it more of a luxury B&B feel rather than a typical hotel. It’s all about personal touches, from the stocked mini fridge in each room with Izze sodas and waters (all of which are included in your stay), to the furnished porches, giant brass room keys, wine and cheese hour each afternoon and self service coffee and tea available 24hrs in the bar - it’s all about making you feel at ease. The small number of rooms also adds to the intimacy of the hotel because within hours you are already being greeted by name and engaging in great conversations with strangers who seem like long lost friends. I don't know if it's a spell or a trance they've put on this place, but from the moment you walk through those historic doors you immediately feel like you're home. You really can’t go wrong in choosing a room type or building as they are all equally magnificent; however, for the cost I would recommend a king bed for the extra space. Rooms are not large, averaging between 275-300 sq. ft., unless you book a suite; however, what you lose in space you gain in quality and character and I would prefer that any day. I stayed with my husband in a Veranda King room on the top floor of the main building, which was absolutely lovely. The room includes all you need for a relaxing stay, including extremely comfortable beds, cable tv, a sleep sound machine (we loved it so much we bought one when we got home), desk and fully stocked bathroom with all of the amenities. The room also shares an expansive, fully furnished porch on the top floor where we sat each afternoon with a cocktail and a book. The main building has 2 sitting rooms on the main floor, perfect for doing some work or mingling with other guests, plus the bar and restaurant on the ground level so it felt like we had so much more than just our room to roam around in - but with only one other guest room on the top floor it was like we had the place all to ourselves. Additional amenities included in your stay are bicycles for borrow - just be sure to reserve one early each morning as they can go quickly, as well as a European continental breakfast each morning with fresh, warm pastries, fruit, yogurts, cereals and a selection of quiche. The staff at Zero George is top notch and is available to ensure that every moment of your stay in Charleston exceeds your expectations, so be sure to get their recommendations for where to eat and what to do - especially when it comes to local secrets in and around town. I even spent an afternoon with one of the restaurant's servers, Amy, who is also a wonderful photographer. 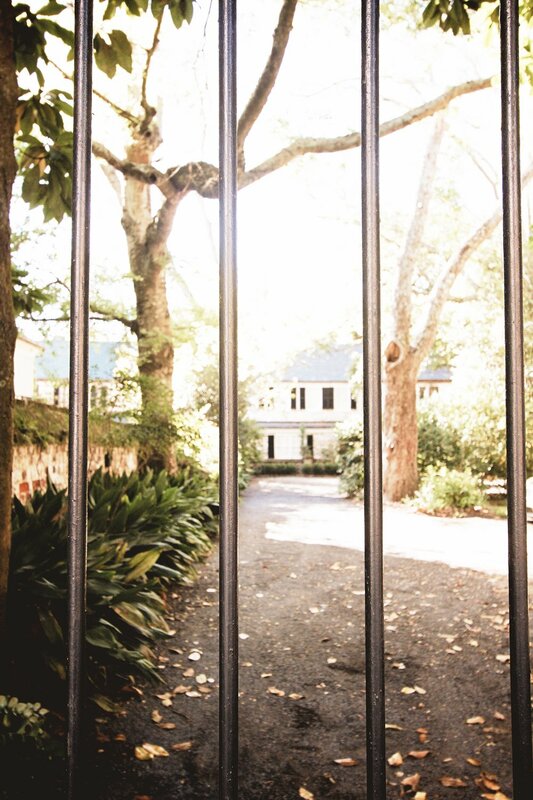 We wandered through some of Charleston's tucked away neighborhoods taking photos of abandoned homes and geeking out on camera gear as she shared stories of Charleston and its evolution into a foodie town - it was an unforgettable afternoon. Part of what has put Zero George on the map as one of the nation’s best foodie destinations is their Zero Restaurant + Bar. 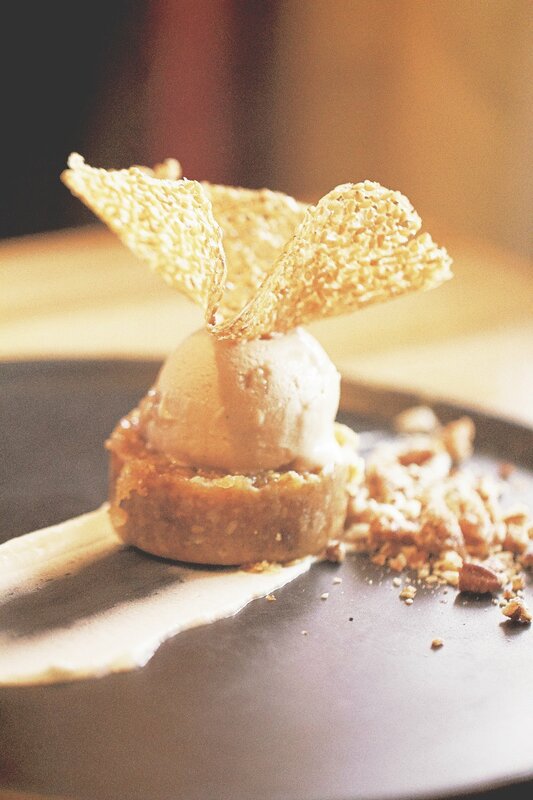 Head Chef Vinson Petrillo has recently emerged on the Charleston food scene and is showcasing local, seasonal ingredients while displaying his take on elegant southern fare. Zero Restaurant was recently named one of Open Table's Top 100 Best Restaurants in for Foodies in America, was Conde Nast's top 5 Best Foodie Hotels in 2014 and was recently listed on AFAR's list of 14 Places to Eat Like a Local in Charleston. In addition to being a hot spot for locals and savvy travelers alike, the restaurant is often host to special events showcasing highly acclaimed chefs and provides weekly cooking classes to small groups of food lovers. We were lucky enough to snag a coveted table during a special night with Top Chef Season 10 winner, Chef Kristen Kish. Dining outside under candlelight in the courtyard while savoring the culinary creations of Chef Kish and Petrillo was an unforgettable experience… plus then being able to walk upstairs to my room at the end of the night was icing on the cake! The highlight of the meal sneaking into the lobby where the tiny kitchen is and watching Chef Petrillo and his team work their magic under the copper heat lamps, intricately plating every dish that goes out - it really is like watching live art… that you can eat. The single dish that blew my mind was the Liquid Center Parmesan Tortellini - it's a literal flavor explosion in your mouth (and I hear this is always on the menu so it's worth going just for that!). After dinner we were able to spend a little time with Chef Kish getting to know her and hear more about her journey as a chef. On top of having incredible culinary skills, she was super nice and seriously gorgeous and it's only because of the truly intimate setting at Zero George that we were able to have such an experience. The Zero Bar is hands down my favorite bar in Charleston and is probably the city's best kept little secrets. First of all, it's pretty small, so mingling is a must and it's where we ended up meeting quite a few new friends - both guests of the hotel and locals who go out of their way just to come here for the drinks. It's got a laid back/lux vibe, perfect for those of us in the 30+ range who hate the bar scene and just want to have a quality cocktail in a cool space. But the real reason people flock here is the amazing work by bartender Kincaid Fairburn whose innovative and personalized drinks keep even the pickiest customers returning for more. We met several Charleston locals who say they come in weekly just to see Kincaid and we found ourselves doing the exact same thing - stopping in before dinner and again on our way back at the end of the night, and we rarely drink! We told Kincaid what we sorta liked and he whipped up drinks that we couldn't have even imagined - ok, I did feel like a little bit of an alcoholic after the third night, but we couldn't resist! You seriously can't miss this place, so whether you are staying at the hotel or not, be sure to check out the bar while you're in Charleston - you won't be disappointed. The bar is open Tuesday-Sunday from 5 - 10pm, with Happy Hour from 5 - 7pm. 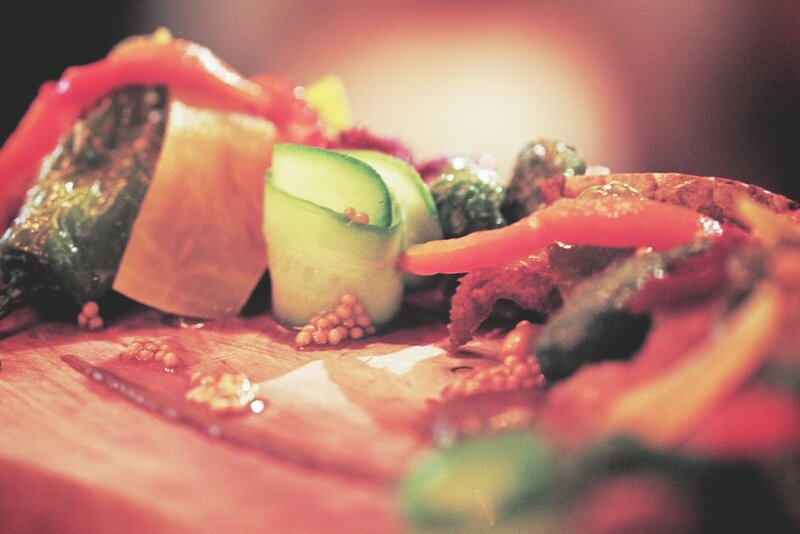 For the freshest seafood in town, 167 Raw is the spot. 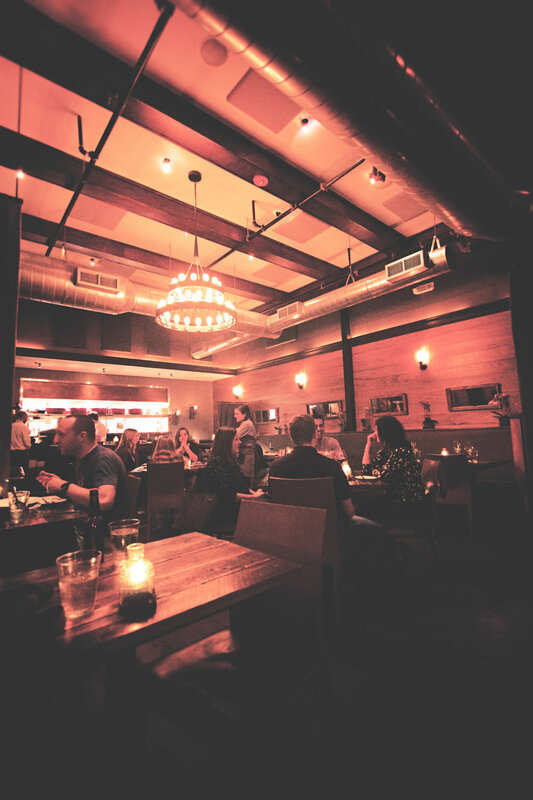 This is one of those neighborhood secrets that we actually only found out about once we were in the city (our server Kavin at Zero George told us about it - one of the best recommendations we received). This small oyster and seafood bar is perfect for lunch and a nice change from heavy, southern food, just be ready for a wait because residents fill the seats during prime times. Now, I'm from San Diego where we have tons of fresh seafood, and I hate to say this... but 167 Raw served up some of the best seafood dishes I've ever had (sorry San Diego!). Between the two of us, we ordered 5 dishes plus dessert (for research purposes only, of course), so I feel pretty confident that I can provide some good recommendations. While everything we had was delicious, there are a few dishes I can't stop thinking about even months later. The menu items that make my mouth water include the Fish Sandwich, Ahi Poke and the Tuna Burger - it's the best I've ever had, ever. It was a huge portion of perfectly tender, seared raw tuna on a soft, buttery bun. They also make an amazing key lime pie, but reserve your slice early because it sells out quick! 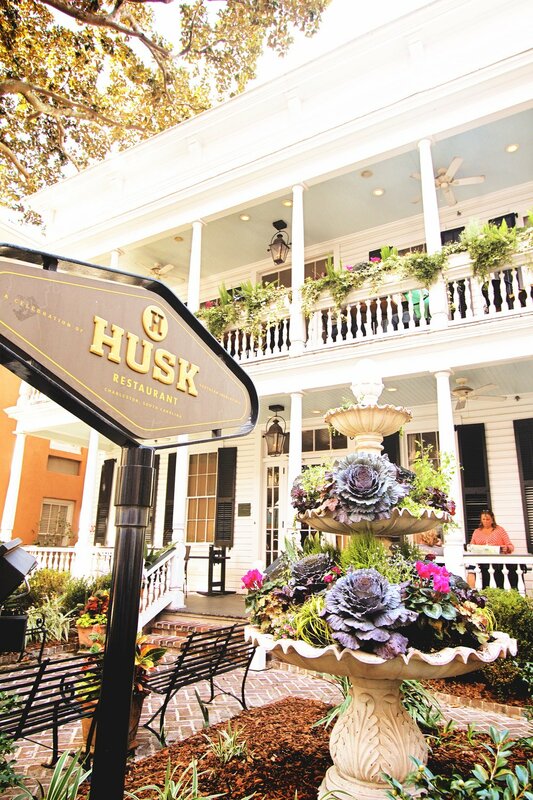 James Beard Award-winning Chef Sean Brock's restaurant Husk has become a true Charleston institution. With the menu changing twice daily based upon the available seasonal ingredients, most of which come from the restaurant's personal garden, it's true farm to table dining and you're always in for a surprise when it comes to inspired southern cooking. Husk is all about hearty, lowcountry soul food like country fried steak, skillet cornbread and BBQ pork ribs, but completely elevated by using the finest ingredients and preserving many of the lost culinary traditions of the region to present creative and visually stunning, locally inspired dishes. 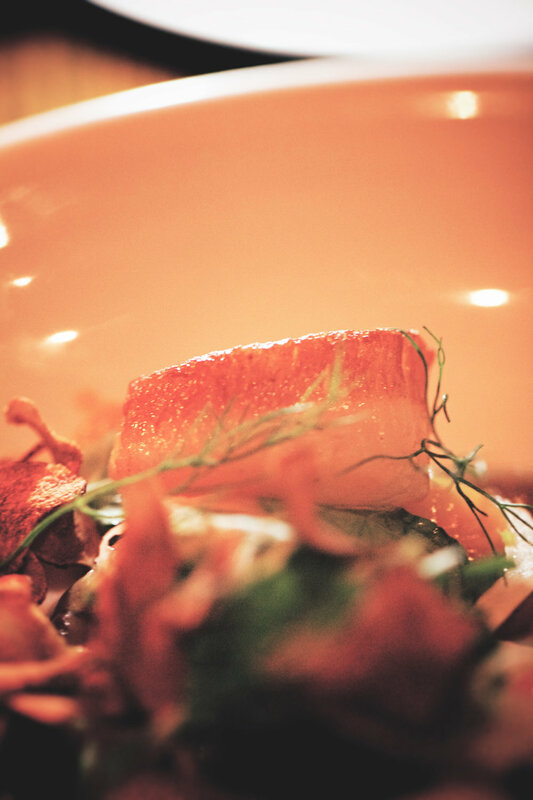 Husk is a true hot spot, which means it can be hard to get into - be sure to make reservations well ahead of time or try for a midweek lunch to guarantee a table. Here's my only criticism - the service was a bit cold overall, lacking any warmth or personality. I'm sure this is part of being a busy, popular restaurant, but it was disappointing nonetheless as numerous servers in their hipster aprons dropped our dishes without even a smile. What happened to southern charm? If you're looking for a night out on the town, head to The Macintosh for a spectacular meal in the heart of downtown Charleston. Three time James Beard semifinalist, Jeremiah Bacon, presents a menu inspired by local ingredients for modern, American fare in an upscale, yet relaxed dining room. The menu changes daily, but there are two dishes you can count on to be on there that you MUST try - the plump and perfectly seared scallops and the bone marrow bread pudding, which is totally sinful with it's crunchy crust and super rich and warm pillowy center - it literally melts in your mouth. We tried 7 dishes, plus dessert (again, solely for research purposes) and every single one was superb and inventive, fulfilling every flavor craving we had. Service here is excellent - even with a crowded restaurant our food was out quickly, our server took great care and time to ensure we understood the menu and we never once felt rushed. It is definitely worth making reservations as we dined on a Monday evening and it was jam packed so I can't imagine what a weekend looks like here. Do check out their Bacon Happy Hour Monday through Friday from 5-7pm with both scallops and their ricotta gnudi on the menu for only $6 and $5 sangria and hard cider - it's one of the best happy hour menus in town, in my opinion. Just be sure that if you do go to The Macintosh to please send me an order of the bone marrow bread pudding - I don't think I can survive much longer without it! If you're in the mood for something a little more laid back, local and off the beaten path - Harold's Cabin is the place to go. Originally a corner store from the 1920s that served local Charlestonians for nearly 50 years, co-owners John Schumacher and famous Charleston resident Bill Murray (yes, the Bill Murray) revived this historic joint, preserving its original intention as a local shop and restaurant. Unlike many of the trendy, upscale spots you'll find in downtown Charleston, Harold's Cabin is all about homey charm, making you feel welcome from the moment you step through the front door and hear the shop bell ring behind you. The places's slogan (which also serves as a literal description for where they are located), "On the corner of President & Congress, where nothing ever happens" and raccoon icon truly represents the quirky nature of this neighborhood favorite, where you'll find friends young and old mingling at the bar wearing flannel shirts and the manager greeting guests by name as they walk in the door. But don't let the casual atmosphere fool you, the food served here rivals any posh place you'll find on King Street. Harvesting ingredients from the rooftop garden, Executive Chef Justin Pfau uses his culinary artistry to create unique, rustic dishes that brilliantly showcase local ingredients like I've never seen before. 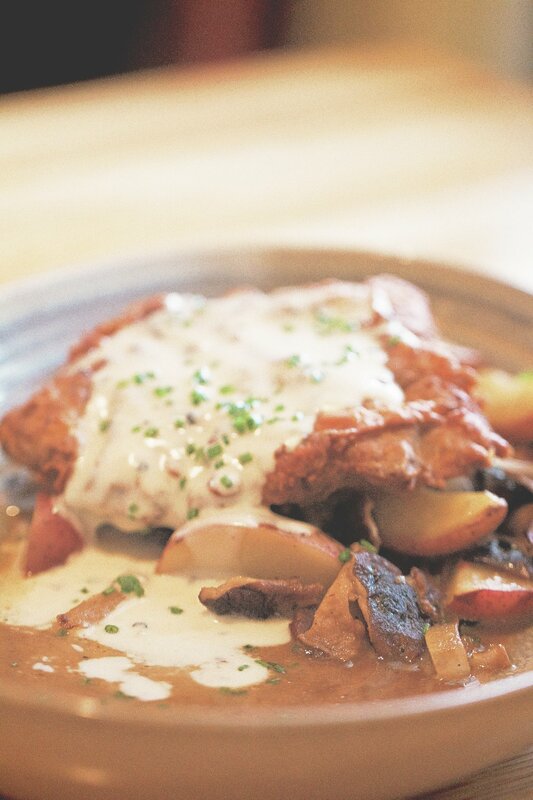 In true farm to table fashion, Harold's Cabin's menu is heavily influenced by seasonal produce, responsibly sourced meats from the region, and local producers, giving you a real taste for the depth of product that South Carolina offers. If you're willing to do a bit of driving and wouldn't mind seeing what island life is like around Charleston, head over to Sullivan Island. About 20 minutes from downtown, this laid back beach town has some surprisingly amazing food options. We stayed the weekend on Isle of Palms and Obstinate Daughter was our favorite place to go. Recommended to us by some Charleston locals we met at a bar (yes, we do that sort of thing - meet strangers at bars and ask them where to eat), this Italian eatery is another famous neighborhood spot that gets crazy busy - I mean like hour long wait out the door kind of busy. 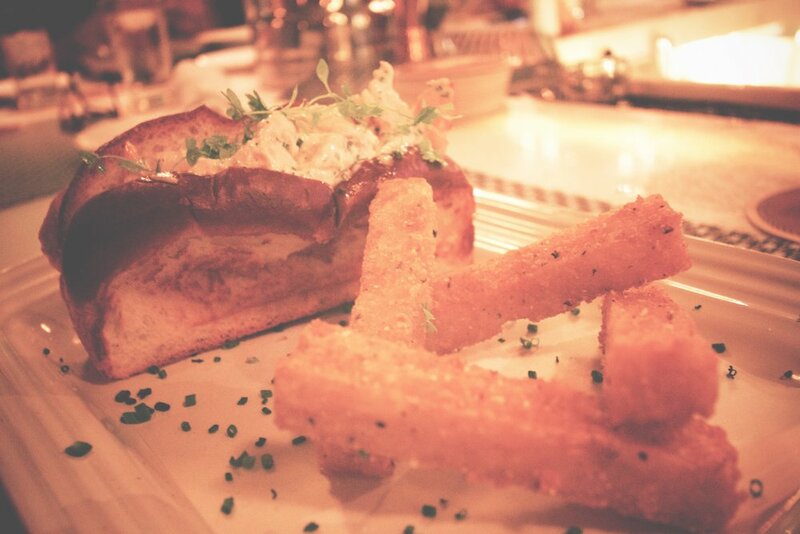 But it's worth it, especially if you can snag a spot at the bar if you show up without a reservation like we did. It was a nice change from two straight weeks of Southern food with some super yummy dishes like The Old Danger pizza - pancetta, mozzarella, white sauce, topped with a runny farm egg (I'm a sucker for runny eggs! ), the Cappelletti pasta stuffed with foie gras and truffle butter (it's super rich so it's worth ordering something light along side it) and their brussel sprouts side dish is seriously jaw dropping. Now here's a tip: it can be kind of difficult to spot even though it's off of the main road because it's actually located upstairs from Beard Cat's Sweet Shop, their dessert bar/restaurant, so if you look out for the Beard Cat sign you know you're in the right place. We actually mozied on down for dessert after our meal where we had a plethora of gelato flavors, hot chocolate and a slice of cake to finish off the evening. 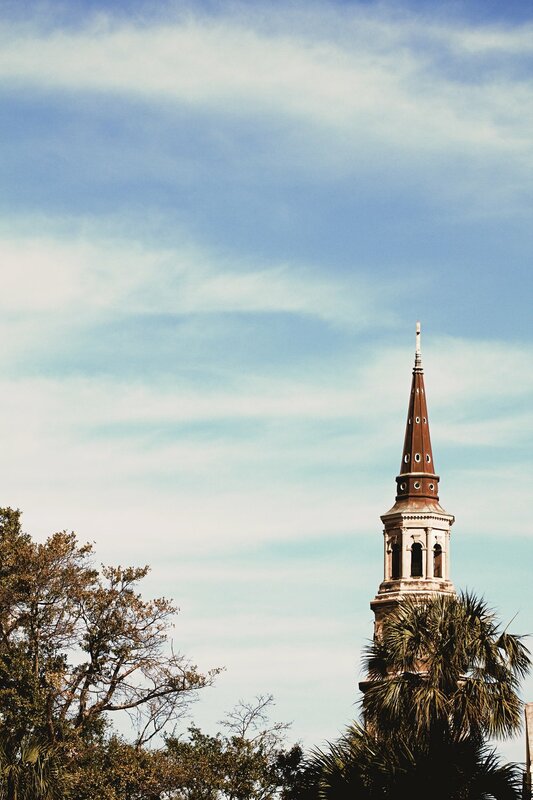 Charleston is a picturesque city with so much history and culture to explore, but if you're not careful, you'll end up wasting too much time in some of the famous tourist traps rather than enjoying the real heart of the city. Here's I'll give you my list of spots to hit (and miss) so you can make the most out of your time in Charleston. I love, love, love farmers markets and try to visit one in every city I'm in. The Saturday Farmers Market in Marion Square is by far an activity in itself as you can shop, eat, dance and explore all in one place. The Charleston farmers market is fairly large so there is a wide variety of things to check out, from craft and jewelry booths to fresh and local produce and goods as well as breakfast, lunch and dessert options - there's even a stage where bands perform as you sit in the grass and people watch. There's a little ice-cream sandwich cart that is to die for - definitely get the maple pecan - there's a local salt maker that we purchased from and we also tried our first pimento cheese sandwich, which was way too good to be good for you. Now the one thing I regret is not getting one of the gorgeous arrangements of dried flowers paired with sticks of cotton at one of the vendors and I looked all over town to find it again and never did - it would make for such a unique souvenir to bring home and display as a centerpiece... clearly I'm still dreaming about what I could have had. Do keep in mind that parking can be a bit nutty on Saturdays in downtown and that the market only runs from April 5 through November 25, 2017 due to the unpredictable weather during the winter months. Rainbow Row and The Battery are at the southern tip of downtown Charleston and a major tourist destination. While it's a nice stroll along the water and through the tree lined park, it's not really worth more than a 20 minute stop for a few photos unless you plan on bringing a picnic. The best part about this area though is what is hidden within the small alleyways. Behind the massive mansions and the tourist filled streets, there are quiet corners and quaint cobblestone streets that too often get missed. My recommendation would be to take a morning walk down to The Battery, passing Rainbow Row along the way, then walk slowly up Church Street and get lost along the way, peaking through gates at private gardens, admiring the beautifully adorned front doors, exploring 18th century cemeteries behind historic churches and envying the locals as they leisurely walk their dogs in this picturesque neighborhood. My absolute favorite spot is through Stoll's Alley; it's an amazing little section for photos. Don't worry, you can't get too lost, you're literally walking parallel to one of the busiest streets in the city, so put some headphones in and mindlessly wander. If you are interested in going inside one of the many historic homes around downtown Charleston, you're in luck because there are about a half dozen around the city that offer daily tours for an intimate sneak peak into what it once looked like to live in one of these Southern mansions. I only visited one, which was interesting and informative, but about enough for me. The Nathaniel Russell House is open to the public Monday through Saturday from 10am-5pm and Sunday from 2pm-5pm, with the last tour departing at 4:30pm and tickets cost $12 per adult. 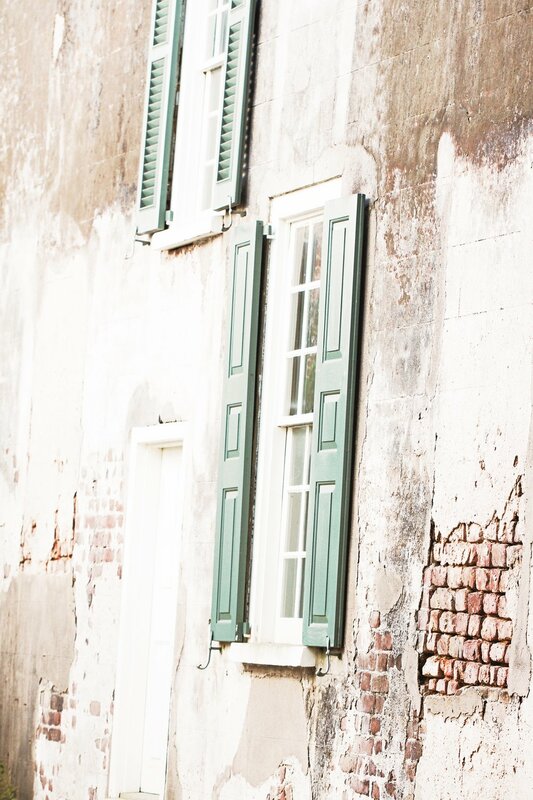 The home has been restored to its original colors, furniture and decor and the knowledgeable guides walk you through the home pointing out every detail and offering helpful historic context to take with you as you continue your journey through Charleston. Alright, I think this is one of the more overrated attractions in Charleston. It's not all that attractive. I mean, let me clarify, it's a pretty fountain along the Cooper River. That's it. If you are pressed for time, definitely skip it, but if you'll be in the city for a while and have some time to kill, then check it out. It's worth mentioning that the walk through the trees along the river can be nice as you head toward The Battery, so not all is lost. Do. Not. Go. Here. I'm assuming if you are reading this blog out of your own free will, you are similar to me in at least some ways and heading into an overcrowded, packed with cruise ship stoppers, imported knick knack infested, tourist trap. sounds like your biggest nightmare. Inside you'll find cheesy shirts, cheaply made souvenirs and anything but authentic treasures. 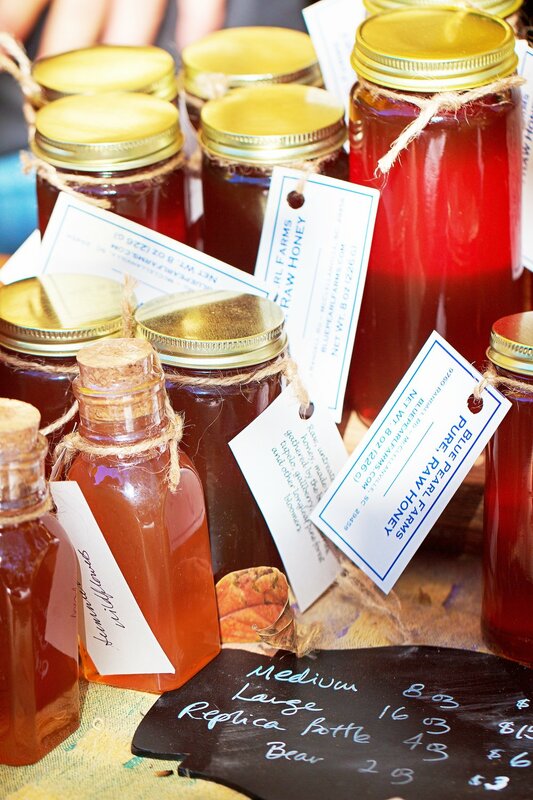 Do yourself a favor and skip the Charleston City Market altogether and search for authentic souvenirs elsewhere. There is plenty to do outside of downtown Charleston, including historic plantations and immaculate gardens, but to see all of them you'll want a car (most are anywhere from 30min - 1hr outside of downtown in all directions), at least 1 - 2 days of exploring time in your schedule and should be ready to spend a minimum of $15-20 per person, per sight. Now a quick Google search will provide you with the most popular plantations to visit with the largest mansions and most exquisite gardens, but my goal was to compile a list of lesser known - more authentic experiences where possible. So know that this is not a comprehensive list of greater Charleston sights, just a few you might not easily find on a map, but are worth checking out. I've also included a few spots at the bottom that I really wanted to check out but were either closed due to damage from the recent hurricanes or I simply ran out of time. There are a number of plantations in the area, but I visited Magnolia Plantation for one reason and one reason only - The Audubon Swamp Garden. For a California girl like me, this was like something straight out of the movies - mossy green water, alligators lurking beneath your feet and strange sounds playing tricks on your mind coming from the bushes - I simply couldn't get enough. My husband and I visited on a weekday afternoon, just before closing time and it was truly an eerie, but unforgettable experience. You purchase your tickets from the main ticket booth and have to pay for the general admission ticket ($15), with an additional fee for the swamp (an extra $8), unfortunate considering I didn't even have time to see the gardens while I was there. Then you drive back towards the road to the entrance of the swamp, where you have to put in a code at the gate. There's no staff around and at closing, barely any people either, and since it's a rather large, winding area, we only saw one or two other visitors the whole time. As you walk along the connecting bridges over the bright green waters of the swamp, you see birds and other wildlife along thew way. Various paths take you through different sections like the historic African America Cemetery from the early 1900's and the expansive lake at the other end. As dusk settled in and the sun disappeared out of sight, we were literally mesmerized by everything we were seeing, walking hand in hand along the long dirt road next to the lake. It was all romance and butterflies until Colin looks down and sees an alligator eye staring straight up at us from the water less than 2 feet from where we were standing. Now, this might be normal for the South, but it sure did freak the crap out of us! After settling down and carefully taking my camera out for a quick photo shoot, we started to realize just how many alligators were in the lake... how dark it was getting... and how completely alone we were. So we gathered our stuff and got the hell out of there (ok, I may have ran part of the way). This Audubon Swamp Garden is seriously magnificent and I would highly suggest making a stop here. You'll want to give yourself at least an hour for the actual gardens and at least another hour or two for the swamp. It takes about 30-40 minutes to get here from downtown and the ticket office closes before the plantation so get there early, but you are able to wander around the swamp until dusk (although we were there alone and no one seemed to be coming around to kick us out). The Charleston Tea Plantation is the only place in North America where tea is actually grown, not just packaged and distributed like most American tea companies. As an avid tea drinker and considering how rare a place like this is, I had to check it out to support such a venture. For $10, visitors fill up with a free cup of tea and board a San Francisco style trolley, taking the one hour tour around the plantation grounds, learning about the process of growing and making tea as you go. The drivers are adorable, retired men who love to share their stories and introduce you to the world of tea. Once the tour is over you arrive back at the main store where you can take another (free) tour inside that walks you through the tea drying and packaging process and you can also buy tea and tea accessories from the store. Now here's my honest opinion: there's not a whole lot to see, tea bushes are not very pretty and it's a bit of a drive to get here, so unless you are truly interested in the first and only American tea growers, it's probably better to skip it. But please do support this great American business by buying their delicious teas as you see it sold around Charleston and bring home a local product to share with friends and family. 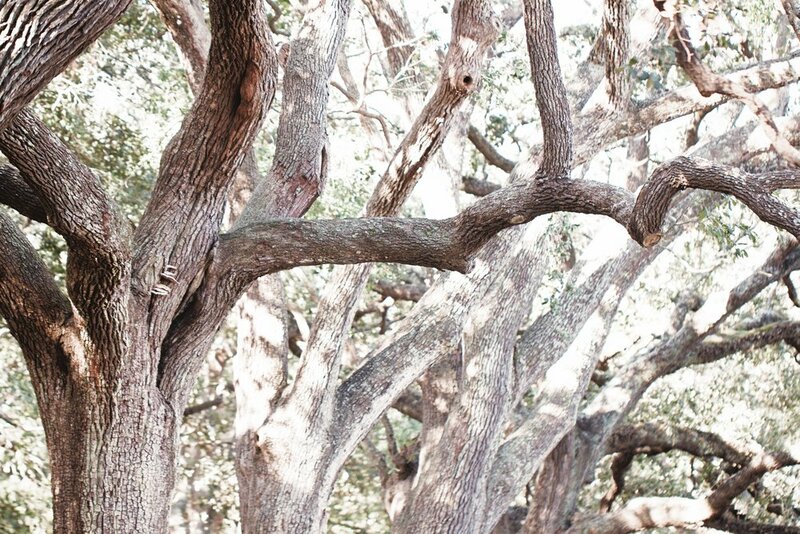 For a look at the largest and one of the oldest oak trees in South Carolina, it's worth taking a 30 minute drive out to John's Island to see the Angel Oak Tree. Estimated to be nearly 500 years old and with a 187 ft branch span, this tree is seriously massive. This is a great free attraction and one that Charleston residents are proud of. It's definitely worth a quick stop for a photo op or bring a picnic and enjoy lunch under its generous shade. Just a note to photographers - there are a lot of signs all around the tree with warnings and a few beams holding up extra heavy limbs, so it can be difficult to get a great shot - just so you know. The McLeod Plantation is not as popular as some of the larger, immaculate estates around Charleston, but what it does represent is a genuine look at slavery in the South and what life on a plantation really looked like from all perspectives, in addition to a rich historical description of the Gullah culture. 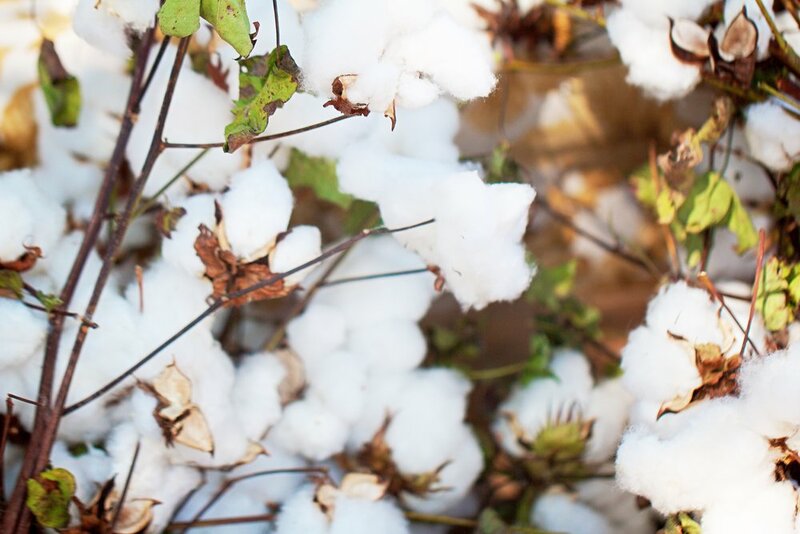 Once a thriving cotton farm, the McLeod property is now a well preserved landmark with the home of the McLeod family as well as a rare look inside the original tiny quarters build for the slaves that once worked the farms. What this sight may lack in color and grandeur, it more than makes up for in depth and American history. For your $10 admission, you are provided with a guided tour of the grounds - but be sure to plan correctly as there are only 4 tours daily (closed Mondays). I showed up first thing in the morning when they opened and opted to do a self guided tour instead and I was provided with an interactive iPad that led me through the grounds at my own pace, telling me about each location that I passed. I much preferred this option and was so thankful that I had the place to myself to sit and thank about all that had happened on the very soil I was standing on. I highly recommend making this one of your stops as you make your way around Charleston's amazing landmarks. Before Colin and I first officially started dating, I asked if he wanted to watch The Notebook with me... and we've been together ever sine. He tells people he was "Notebooked" and had no chance after that. Anyway, the movie is very special to us so we wanted to visit a few of the iconic locations where the movie was filmed in Charleston. Unfortunately, I was unable to visit these two spots during my visit. Cypress Gardens was actually one of the places I most wanted to visit, but due to major storm damage they were closed (and still are, so check their website before going). Cypress Gardens is where the famous scene was filmed where Noah and Allie row in a boat through a crowd of geese and you can actually rent a boat to do just that, except don't expect to see the geese - those were brought in just for that scene. In addition, the Boone Hall Plantation & Gardens was the home that Allie lived in with her parents in the film, but I ran out of time so didn't see this spot either. Definitely check these out when you are in town and let me know your thoughts. 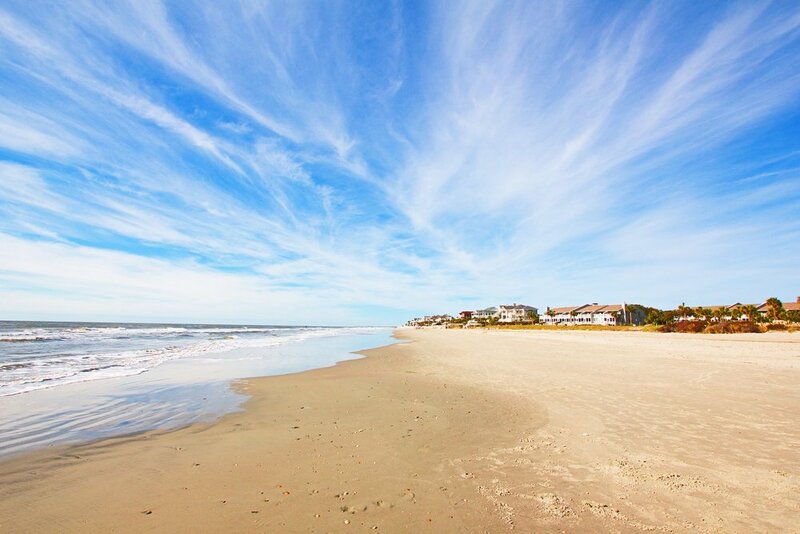 If you are hoping to soak in some sun and ocean waves during your vacation, I recommend checking out the Isle of Palms, just 30 minutes outside of Charleston. 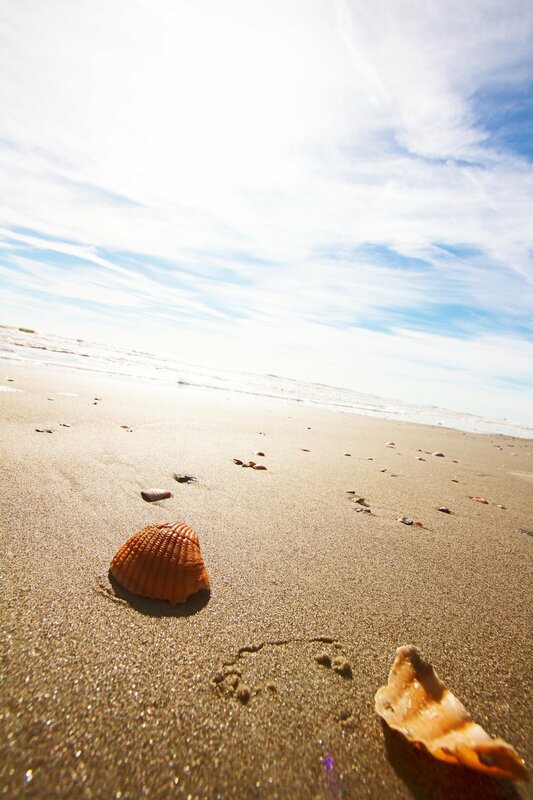 It's a quaint little beach town, definitely a very popular vacation spot during the summer, but during off season it's a wonderful place to walk along the beach, collecting shells and watching the sunset. Here's a website that tells you about the island's public beaches and places to park: http://www.iop.net/beach-access-parking. My husband and I stayed the weekend at Wild Dunes Resort on the Isle of Palms, which has both condo rentals and traditional hotel rooms. We booked a one bedroom, oceanfront condo, which was perfect for more of a staycation feel since we had a full kitchen where we could make our own meals - so exciting after being on the road for 3 weeks and eating a plethora of fried food day after day. The condo also had a huge screened porch that we spent most of our time in without the worry of bugs attacking us. It was refreshing to wake up to the sun rising over the water each morning and sleeping to the sound of the waves crashing on the shore each night. Even though it was chilly out in November, we walked barefoot in the sand, collecting shells to bring home as souvenirs (Colin made me a Christmas ornament with them as a way to remember or time there) - a much needed change from city life. 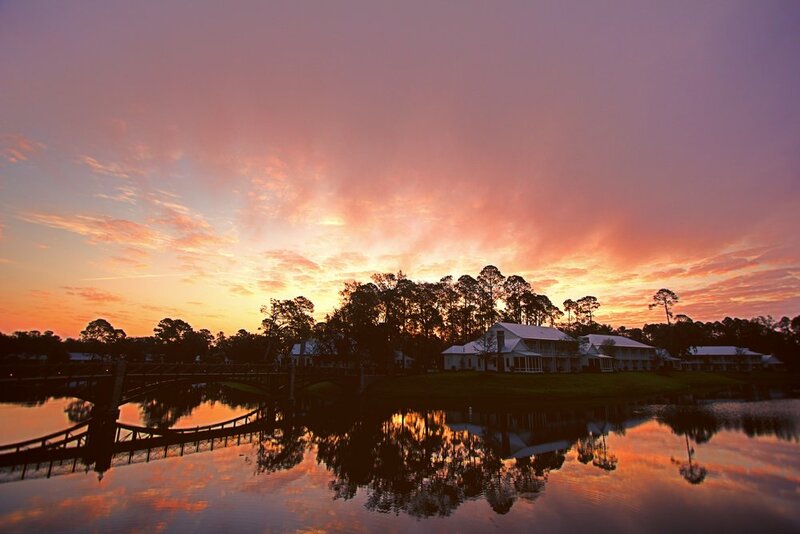 Just thirty minutes from Savannah and two hours south of Charleston, The Montage Palmetto Bluff makes for the perfect romantic getaway and easy to reach by car. During our October visit, the weather was ideal (mid to low 70s with low humidity) and I was blown away with every aspect of our stay; from the gorgeous waterfront accommodations, to the expansive property amidst a nature preserve, in addition to the daily resort activities and available equipment so that you have everything you need for a little fun and adventure; it's a destination I'll be convincing my husband to take me to annually. There's way too much to say in a small summary, so you'll have to check out my full overview of this incredible Southern property on the blog, just click here. My absolute, hands down, favorite souvenir that I brought home from Charleston are the professional photos we had taken as we walked throughout the city. Even with a professional camera and a tripod in hand, I was fed up with the selfies I was bringing home of my husband and I - so that's when I decided enough is enough! 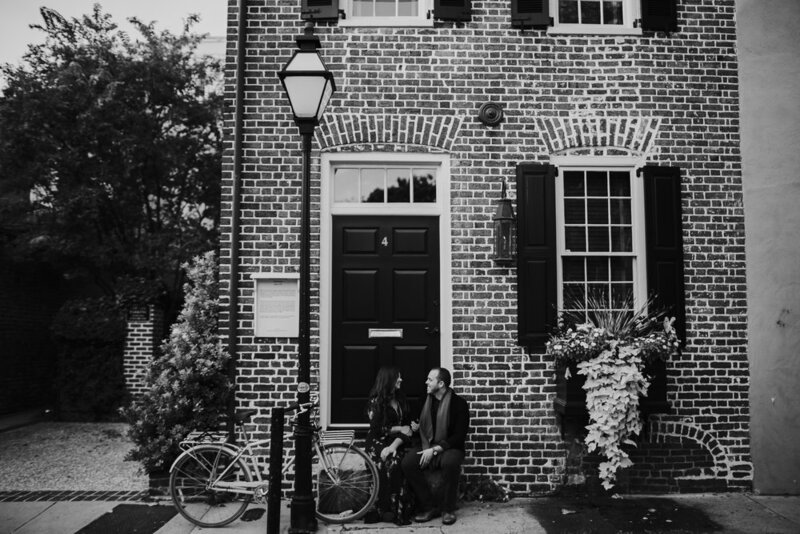 Before we left for Charleston, I researched and booked a mini session with local photographer, Ashley Posthuma, owner of Photography Anthology, and let me tell you - it was the best decision I made the whole trip. Strolling through the stunning streets of Charleston with a professional photographer by our side was priceless (this is not code word for super crazy, Oprah's Favorite Things expensive - it's surprisingly very reasonable depending on the photographer) and not only did she capture our love, but the beauty of Charleston as we will forever remember it as. I searched for a long time to find the right photographer that fit our personalities, aesthetic and budget. When I came across the Photography Anthology Instagram page, I instantly fell in love and knew she was the one. Not only is she featured on Green Wedding Shoes (where our wedding was also featured), she somehow captured a couple's joy and emotion in each of her shots. 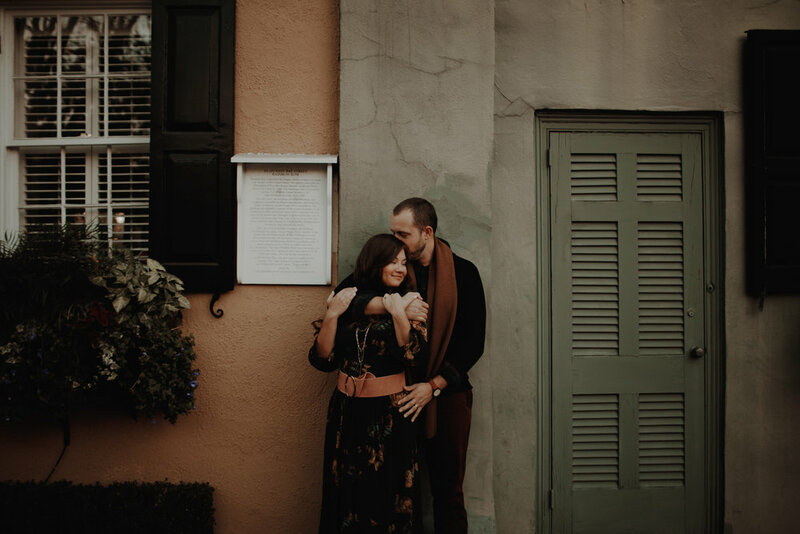 After looking through pages and pages of cheesy, posed Charleston family photographers - Ashley’s artistic, dark and moody style while looking completely effortless and natural was exactly what I was looking for and more - so I didn’t waste any time booking her during our trip to Charleston. If you've got an hour and at least one cute outfit, you can totally pull off a mini photo session and bring home photos you'll cherish forever (while also being able to use them on this year's Christmas card!). I am all about destination photography in gorgeous cities, but I'm also not super stoked on getting my picture taken, but Ashley made it feel so effortless and easy, more like chatting with a friend who occasionally took photos of us while we walked around. She knew all the right spots to take us, gave us just the right amount of direction so that it didn't seem posed or uncomfortable and took time to get to know us as a couple so that our story was captured. She is quirky, fun, energetic, authentic and has this beautiful smile that is totally contagious - if we lived in the same city I would seriously force her to be my best friend. Ashley was the best photographer I could have booked in Charleston and she exceeded every expectation I could have imagined. Photography Anthology truly brought to life our love for the city and each other and we will have these memories to cherish for a lifetime. I spent some time asking Ashley some questions about her life, travel and photography so you can get a sense of who she is as a person - which I think is really important when picking the right photographer for you. I picked up a camera in high school and immediately fell in love. It became my dream job from that point on and now I've been a photographer for 8 years. What words would you use do describe your aesthetic? Dark. Moody. Natural, yet artistic. Not hipster. Organic. Depth. What gets you excited to be a professional photographer? I love talking and getting to know couples and capturing those intimate moments just between the two of them. 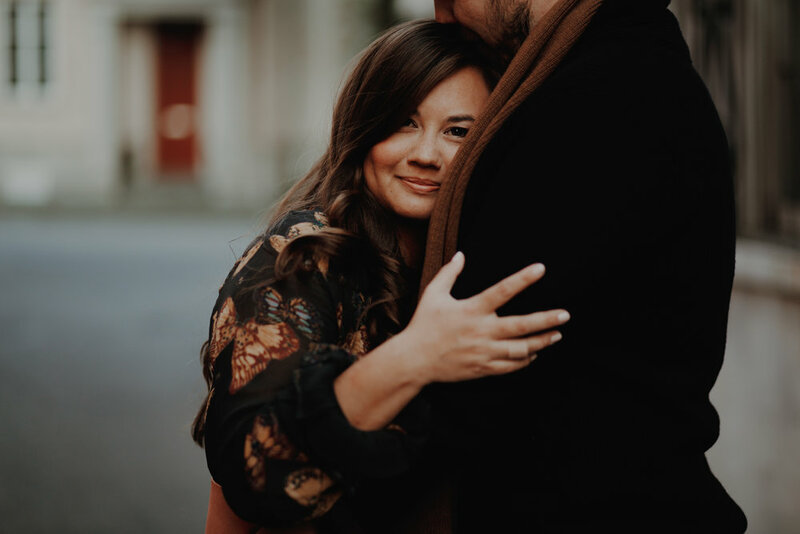 I gravitate to couples who are truly more concerned about their love and their relationship rather than making sure everything is perfect around them. What's your favorite place you've ever visited? 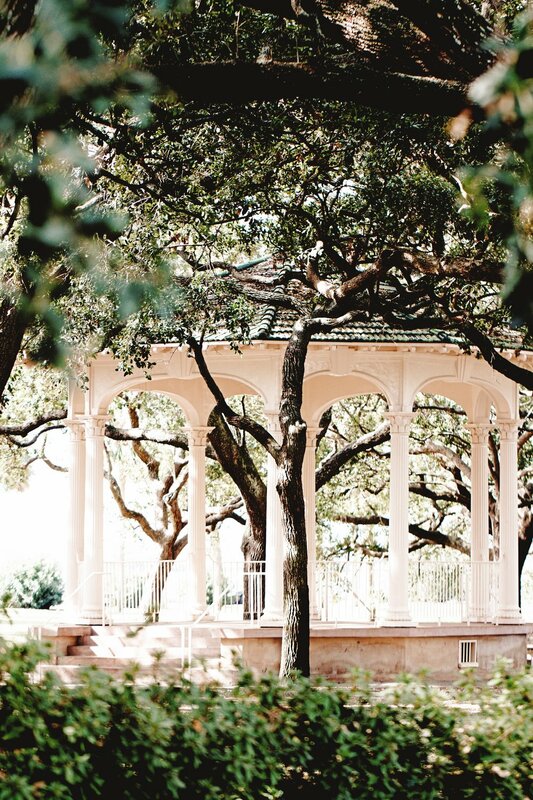 What would your perfect day in Charleston look like? I'd start with breakfast at Collective Coffee in Mt. Pleasant, then bike the Arthur Ravenel bridge into Charleston. Stop for lunch at Edmund's Oast, which is a fancy brewery/fine dining with some of the best food in Charleston before walking in and out of all the shops on King street. I would head to Folley Beach for the rest of the afternoon, then get dressed up to go to Feathertop for dinner. After dinner I'd go to The Gin Joint for drinks - they do this thing called the bartenders choice and they give you a word bank where you pick 3 words and they make you a personalized cocktail using those words. Finally, I'd head over to Prohibition for dancing because on Friday nights they have live jazz until 10pm then a DJ after. That's everything - i do hope you find time to visit charleston as it's become one of my favorite cities in america and i simply can't wait to go back. if you have any of your own recommendations that you think i should check out on my next trip, please send it my way or leave a comment on the blog. happy travels!